Slidekamera ROAD JIB camera crane. Ultralight - 4.5 kg, portable and compact camera crane, used for cameras and photo cameras of a total weight up to 3.5kg. Telescopic aluminium construction allows to extend arms of the crane in no time, thus giving you a possibility to spend more time on shooting instead of on setting-up the equipment. Its compact size makes it a perfect solution when shooting in most extreme places. 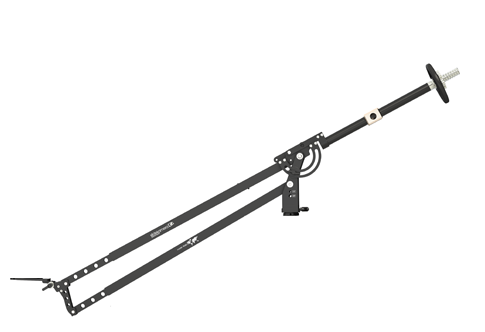 Slidekamera ROAD JIB outperforms other camera cranes in terms of stability, rigidity and comfort of use. 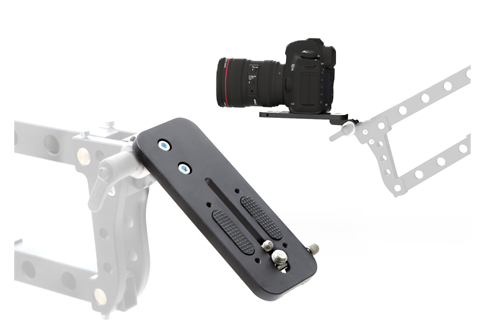 Mounting plate equipped with 1/4" and 3/8" screws for DLSR photo cameras or light cameras. Hole spacing allows to mount Manfrotto 577 adapter or Slidekamera AKC-3 Adapter Quick Release System. Steel joint of high durability and resistance to damage allows to safely mount the camera in horizontal and vertical position. Smooth, fast and stable set-up. Counterweight lock. 1/4" and 3/8" holes (on both sides) for mounting additional accessories. 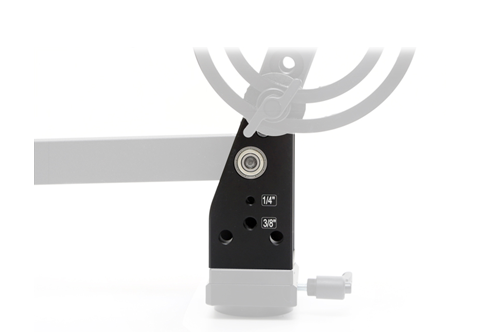 Clamping knob for tilt adjustment, that allows you to lock the arm in any desirable position. 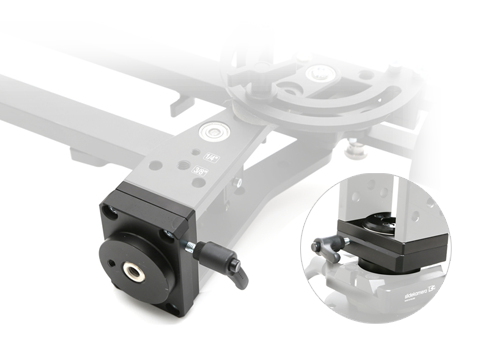 Rotational head with a locking system build-in camera crane base (equipped with 1/4" and 3/8" holes). 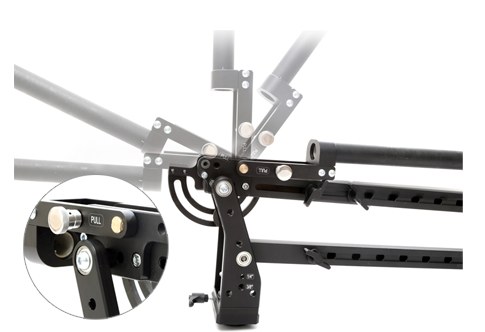 System Quick Release System (1/4 "and 3/8" holes) allows to mount and dismount the crane on and from the tripod using Manfrotto 577 or Slidekamera AKC-3 adapters. Mounting of the adapter to the rotational head using both 1/4" and 3/8" screws is the most effective solution and provides high stability of your equipment when you capture a perfect shot. 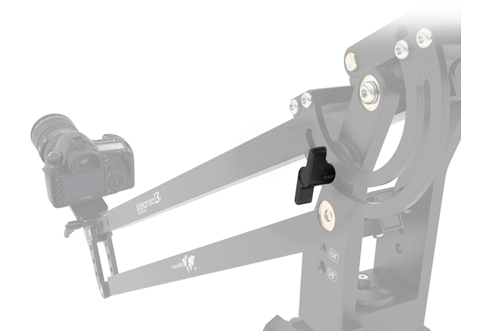 Slidable weight (used mainly when lens changing) allows to balance the crane without the need of adding additional counterweights. Application: For lifting and rotating the camera or photo camera together with the accessories. 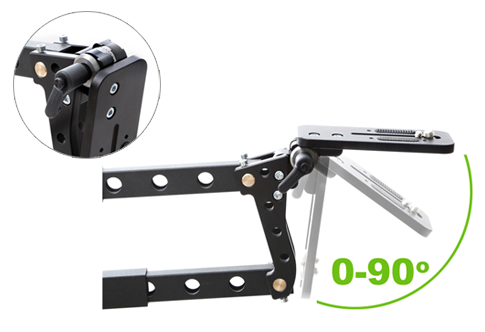 Dedicated for mounting on Slidekamera HST series tripods (HST-2 or HST-3).